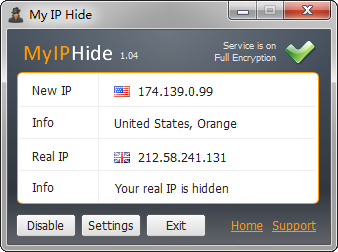 We released My IP Hide 1.04 on Nov 29, 2012. It supports both Windows and Mac. Please download and try it. We recommend all users updating to the latest version. It includes these changes.